Need to Advertise a Job with Multiple Locations? iHire Has Your Solution. 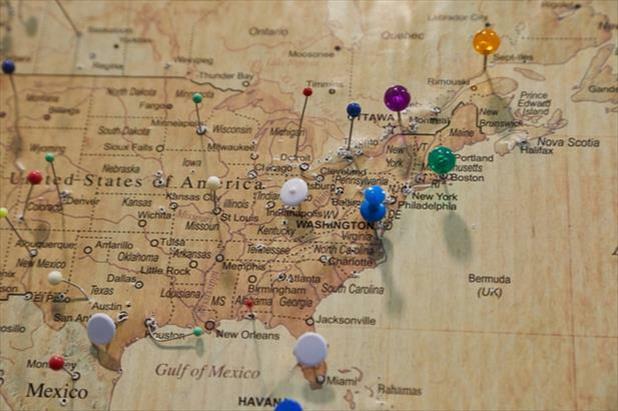 Hiring for similar positions in numerous locations can pose challenges for some employers and recruiters – you want to have insight into how each posting performs in their individual markets/regions, but you don’t necessarily want to create different versions of the same posting for each area. To complicate matters further, you must keep in mind the importance Google places on local search results. To maximize your posting’s search engine visibility, you have to include a specific location – loose geographic designations like “Chicagoland,” “the Bay area,” or “nationwide” may work against you by limiting your job’s ability to display in local searches. So when it comes to posting a job with multiple locations on iHire, what’s the best way to do it? Before we can answer that question, we’ll have to take a quick look at how posting a job with iHire works in general, especially where locations are concerned. The first step in iHire’s job posting process is to add key information about your posting. One of the most important details is the position’s location. This will tell candidates where the job is located and will play a critical role in how your job posting shows up in searches. For this reason, iHire requires employers and recruiters to provide a single city, state, and ZIP code for their postings. While the city and state are for display purposes, a job posting’s ZIP code is the most important element. iHire uses the ZIP code to identify a job opening’s location because it is far more precise and enables us to deliver more accurate results for the job seekers who use iHire to search for industry-specific opportunities. You may be thinking, if iHire requires job postings to have a single city, state, and ZIP code, how can I advertise a job in multiple areas? Won’t I have to create a separate posting for each location? The short answer is yes. However, we’ve created a tool that will make that much easier than it may seem at first glance. 1. Complete the job posting process to create an ad for your multi-location job opening and select any one of your locations for that posting. 3. Use your previously entered job as a template for the new posting. 4. Change the location by editing the city, state, and ZIP code fields. 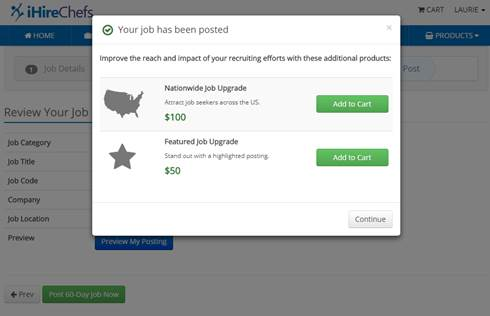 Using iHire’s job template tool makes it easy to quickly post the same job ad in a number of different areas while ensuring that each posting will receive exposure in search engines and maintaining insight into how the ads perform in their respective locations. Interested in learning more about our job ad solutions, including interchangeable Job Slots and automated Job Wrap? Call 877-433-8860 to speak to one of our Account Managers​ about custom solutions and discounts for bulk packages.